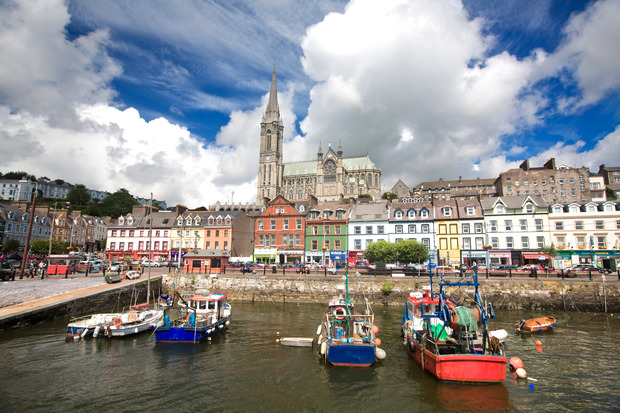 For the second year running, Cobh has been named one of Western Europe's top cruise destinations. 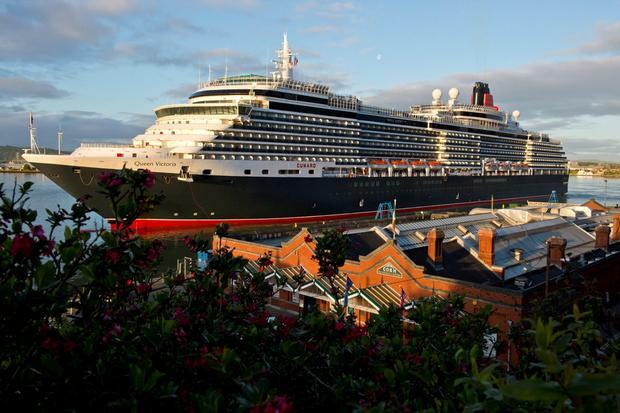 The Cork stopover is the No.2 cruise destination in the 'British isles and Western Europe', according to the Cruise Critic Cruisers’ Choice Destination Awards. The awards, based on reviews posted to CruiseCritic.com, name the best cruise destinations for 2017 across 15 regions around the world. Amsterdam claimed the top spot in Western Europe, with Cobh beating off Lisbon, Guernsey’s St. Peter Port and Greenock (Glasgow) to claim second place. Budapest was ranked overall best cruise destination for 2017, while Dubrovnik and Villefranche took the Eastern and Western Mediterranean awards, respectively. Dublin, Ireland's biggest cruise destination, did not feature. "Obviously we're delighted," says Captain Michael McCarthy, Commercial Manager with the Port of Cork. "This is hugely rewarding, because we've put a lot of time and effort into promoting the south of Ireland through Cork." Cobh was the last port of call for the RMS Titanic in 1912, and its dedicated cruise berth allows passengers to disembark directly onto the historic quayside. "It's not a big city, so people feel very comfortable," McCarthy says. "There's time to stop and chat, and the passengers really appreciate that bit of Irish friendliness and banter." "Love this port," said one Cruise Critic member, jlmack70. "This little town is amazing. We visited the Titanic museum, cathedral and a few gift shops. The people were warm and friendly and made me feel like I had lived there myself." Cobh's Cruise traffic has been growing in recent years, with 69 ships and some 140,000 passengers expected in 2017 (up from 40 and 41,000 a decade ago). "The cruise ship business is vital to us here," says Gillen Joyce, owner of the Titanic Experience. "Turnover would at least double on cruise ship days versus normal high season days." Last year, the Port upgraded its cruise berth with high-load bollards that can cater for the largest ships on the seas - including Royal Caribbean's 362m Harmony of the Seas. A business plan for a "multi-purpose marine tourism hub" has been prepared - a successful roll out would give Cobh a second cruise berth by 2020. 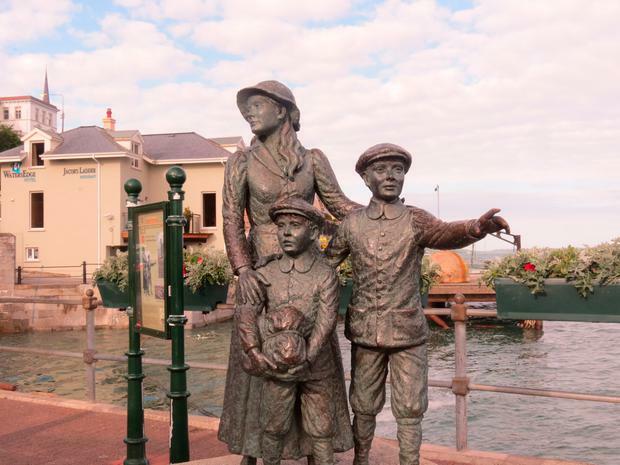 The town has also undergone significant development, with upgrades of the Titanic Experience and Cobh Heritage Centre, its inclusion in Fáilte Ireland's 'Ireland's Ancient East' and the opening of Spike Island all boosting its visitor offering. Cruise passengers also take day trips to nearby attractions like Blarney Castle, The Old Midleton Distillery, Cork City and beyond - but Cobh Tourism, the county council and local businesses are working with the port to grow the town even further. "We want Cobh to rival destinations like Killarney or Kilkenny," Gillen Joyce says. “Picking a cruise itinerary isn’t easy, particularly given the increasing number of amazing destinations accessible by cruise,” said Adam Coulter, UK managing editor of Cruise Critic - a TripAdvisor subsidiary with more than 350,000 reviews. In other categories, Quebec City was named best cruise destination in the US and Canada, while Kings Wharf, Curacao and Cozumel were top ports of call in the Caribbean. Full list of winners: cruisecritic.co.uk/memberreviews/destination-awards.